No ice cream, no yoghurt. This is not a milkshake or a smoothie. This. 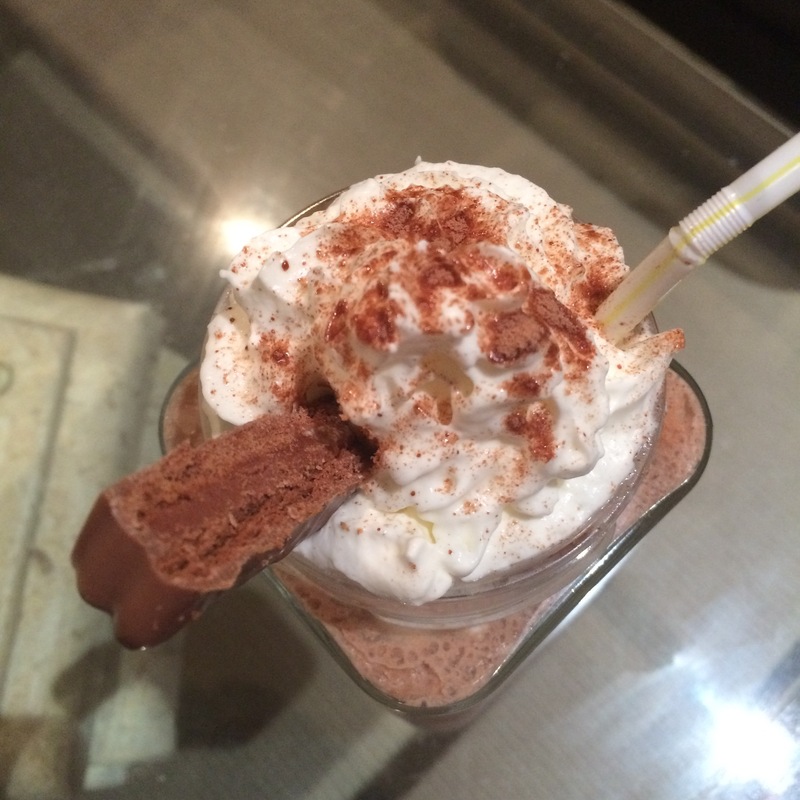 This is THE ultimate copycat of the Tim Tam chiller from the Gloria Jeans menu. My brothers Anan and Ivan really enjoyed this. It’s just what they’ve been craving in this creeping Sydney heat. Chop up your Tim Tams so as to help them break up faster in the blender. Then put them in the blender with the milk and pulse about 4-5 times. Now add the caramel sauce, coffee, and chocolate drinking powder and blend for 30 seconds. Add the ice and run the blender again. Check the sweetness of the drink – if it’s too sweet for you add more milk but if you need more sweetness you can add some more caramel sauce or some sugar. 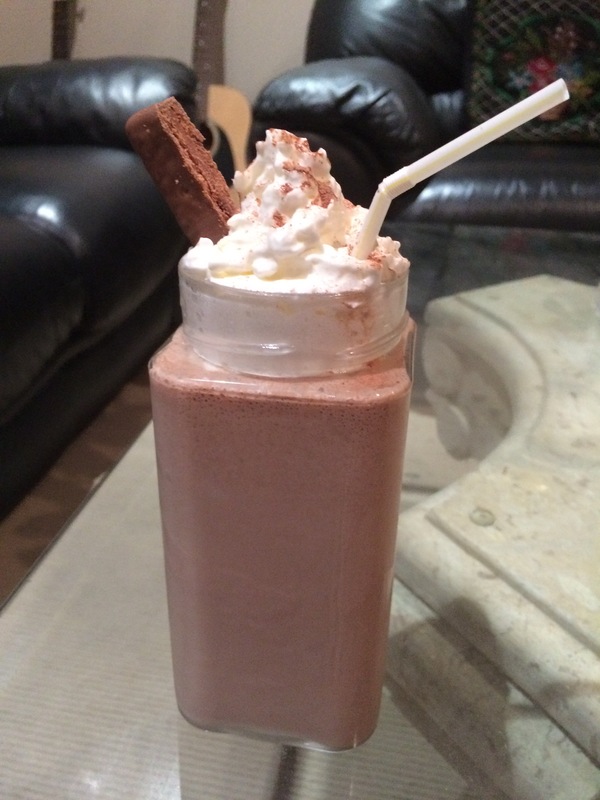 Once everything is combined you can our into your serving glasses, garnish with whipped cream and a sprinkle of chocolate powder, and perhaps even a chopped stick of Tim Tam. I used ice to reduce the sweetness of the drink and make it a bit colder, but you can of course just use more milk if desired, or just omit the ice completely. Crushed Tim Tams would also make a nice garnish. Next Post Mise-en-scene in Lagaan (2001).